The effect of the re-charred casks is huge, giving the whisky a distinct burnt caramel character. The woody flavours are reminiscent of brown toast with butter, well-browned flapjack and roasted oats. We also detected notes of everything from tawny marmalade and candle wax, through to ice cream soda and irn bru! Batch 1 is rich and dry with huge amounts of flavour. Sweet oak, peaches and honey are concentrated at the back of the palate, The mouth feel is very lively, with a tingle of salt and citrus. A well balanced finished, as sweet smokey notes mingle with sherry, oak and caramel. The finish is long, rich and warming. every time we do a new a bottling. The Vintage and cask strength of each batch will depend on the casks chosen by Frank and Stuart. Following on from the success of last year's release of a special blended whisky to celebrate the Edinburgh International Festival, Springbank Distillers have decided to repeat the exercise this year. The limited Edition Edinburgh Festival Blend 2007 has been created to celebrate the 60th anniversary of the festival and to celebrate Jonathon Mills' inaugural year as Festival Director. 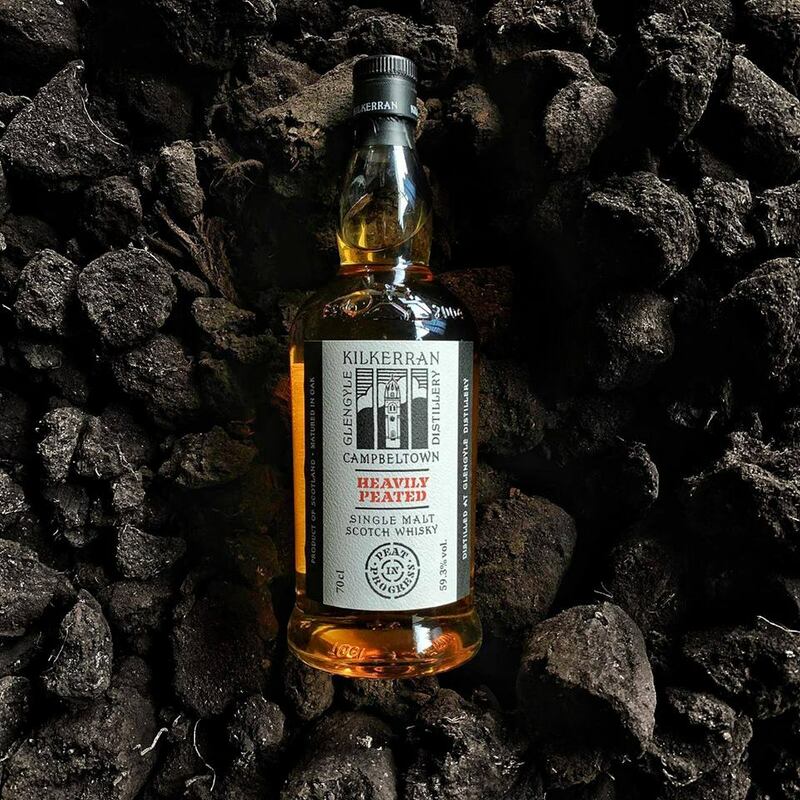 Just 2007 bottles of this unique blend have been produced by Scotland's oldest distilling family, offering a sophisticated, well rounded and silky smooth dram to the discerning Festival audience. Full bodied, the character from the Springbank and Longrow single malts are both in evidence. Sherry casks matured whisky has had a huge influence on the palate, coming across as spicy oak. Lots of oak with a slight, lingering taste of a fresh chilli. The third new bottling will be the 2007 Wood Expression, which will be available from September. This year's Wood Expression is a 16 year old Springbank which has been matured for eight years in bourbon casks followed by eight years in demerara rum casks. Following on from our previous Wood Expressions, we are sure that this year's bottling will be equal interesting and provide a talking point for all whisky lovers. Finish- Lingering sweetness remincent of the tun room, subtle sweetness with notes of citrus and green apples. Very moreish! Jeg er at betragte som en novice udi Springbank-aftapninger, men har dog gennemskuet at de udsender deres produkter i forskellige wood expressions (Tokaji, Marsala et c.). Skal ovenstående forstås således, at det er en årligt tilbagevendene tradition, lidt a lÃƒÂ¡ medlemsaftapningerne? 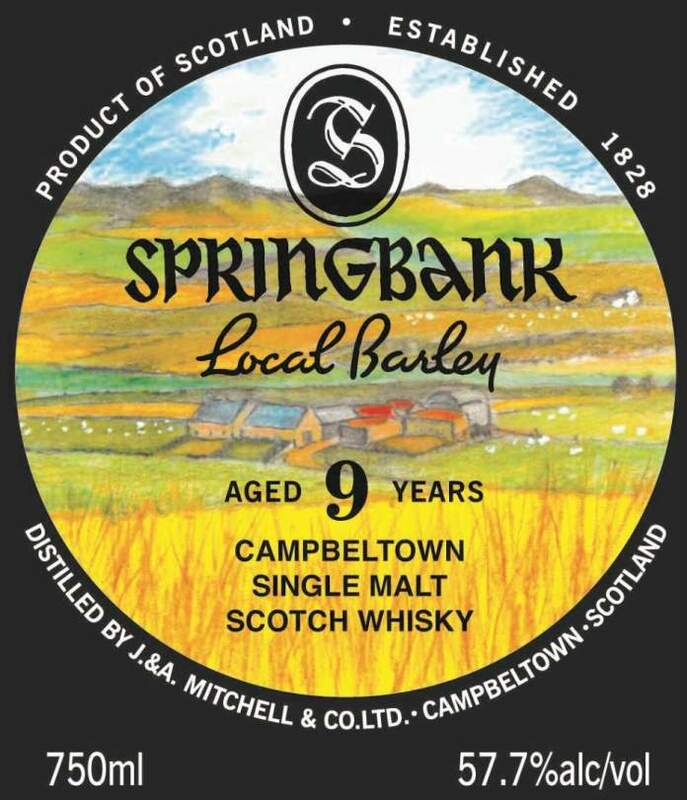 Springbank 1997 (55.2%, OB, 11,000 bottles, 2007) One and only label so far for this new one... Phew! Colour: pale gold. Nose: we're more in the vein of the second CV here, but with extra-oomph and more cask influence. More plain vanilla and vanilla fudge at first nosing but then it gets wilder, farmier, more vegetal and more mineral, not unlike the 12 we just had. Notes of fern, moss, fresh mushrooms, plantain bananas, roots, dead leaves... Then very big notes of wet chalk, a little porridge, ginger tonic, faint hints of turpentine and varnish, shoe polish... It's very complex for such a young whisky, and certainly the one I like most of all recent bottlings by Springbank "“ so far! Mouth: excellent attack, punchy but not overpowering, starting right on these very weird notes that I think are quite unpleasant in some recent Springbanks, Longrows or Hazelburns but that work quite well here. Something like Seven-Up or gin-tonic, or ginger wine. Also quite some butter, plain lemons, buttered toffee, malt, something like concentrated milk, melons... Let's see what happens with water (and while the nose got smokier): more citrus (tangerines starting to rot "“ nothing wrong here), a little more salt and a very typical salty waxiness (?) plus quite some added spices, such as nutmeg and cinnamon and a sherry that got a little more obvious now but still rather discreet we think. Finish: long, more compact (vanilla, lemons and salt) and also a little cleaner, which is exactly what's expected in a very good whisky at my end. I think this is excellent at barely 10 years of age and I almost feel like shouting ‘hurray for Springbank!' An old love of mine may well be back... SGP:463 - 89 points. We are delighted to announce the release of 2 new UK Single Casks that will be available for purchase from tomorrow - Tuesday 5th June 2018. Distilled 2001 - Bottled May 2018, 7 years in Fresh Bourbon & 9 years in Fresh Chardonnay Barrique. The Campbeltown Cadenhead shop will be selling this bottle for £85.00 - limited stock available via phone from 10 AM. Distilled December 2017 - Bottled May 2018, Fully matured in a re-charred Bourbon Hogshead. The Campbeltown Cadenhead shop will be selling this bottle for £60.00 - limited stock available via phone from 10 AM. 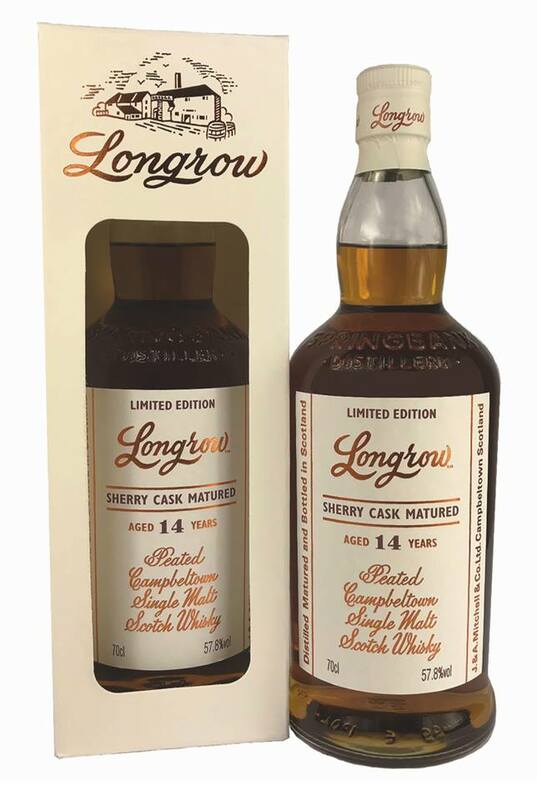 This Longrow release was matured in refill Oloroso Sherry casks and bottled at 57.8% ABV. Nose: Very fruity! Toffee apples, pears and strawberry chocolates in the background; salted popcorn kernels, mint leaves and honey. Taste: Salty and coastal, the fruitiness continues with raisins, chocolate orange and prunes. A dryness develops with demerara sugar and digestive biscuit. Finish: Drying BBQ spices; cayenne pepper and paprika followed by cinnamon sugar, oats, pecan nuts and the typical gentle Longrow smokiness. There is no Society discount for this bottle as this is not a core range product. 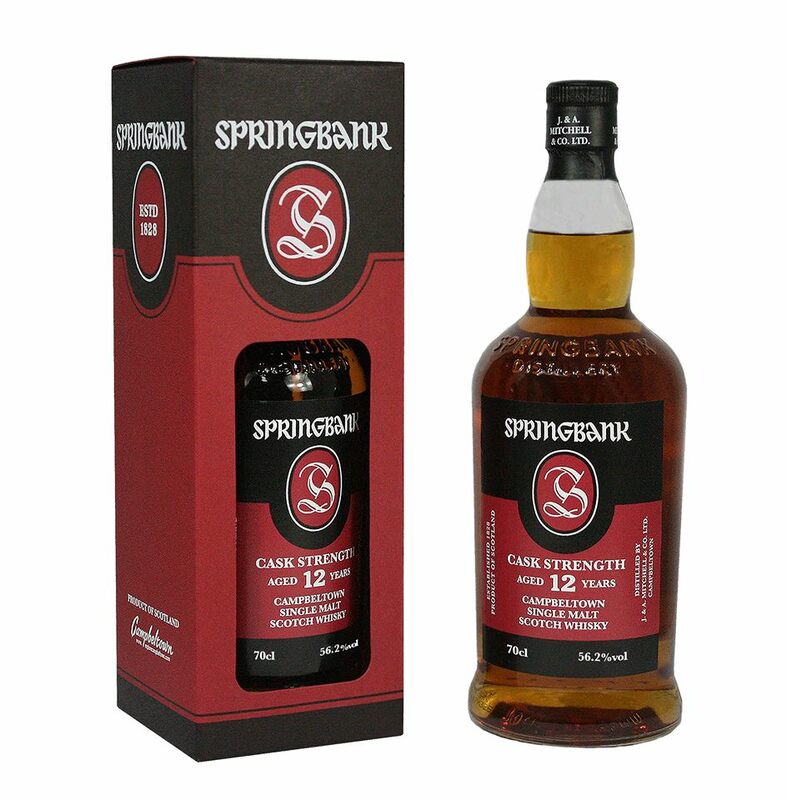 The latest edition to the Springbank 12yo CS range has been matured in 70% Sherry casks and 30% Bourbon casks and has been bottled at 56.2% ABV. Nose: A fruity and nutty combination; cherries, apricot jam, pistachios and toasted oats. Salted caramel and marzipan begin to emerge. Taste: Sweet and delicious, Scottish tablet, prunes and honey. The classic Campbeltown style develops; sea salt and a light smoke coat the mouth. Finish: A long and warming finish; honeycomb, orange marmalade and liquorice closely followed by Demerara sugar, almonds, oats and prunes. The Campbeltown Cadenhead shop will be selling the Springbank 12yo Cask Strength for £49.50. These whiskies are available in the UK from tomorrow - for more information on when they will be released in different countries/markets please contact your local Springbank retailers and stockists, details of whom can be found by visiting: springbank.scot/distributors/ . We are pleased to announce the release of 2 new bottlings - 1 from Springbank and 1 from Mitchell’s Glengyle. Both the Springbank 9yo Local Barley and Kilkerran 8yo Cask Strength are available to buy in the UK from tomorrow - Tuesday 13th November. Matured in 80% Bourbon casks and 20% Sherry casks, this release is the fourth in our series of 5 annual bottlings from barley grown in the local area. For this year’s release we used Optic barley that was grown at High Cattadale Farm. Nose: Traditional Springbank aromas; saltiness, sea shells and fresh oysters bursting through. Followed just as intensely by pepper-jack cheese, honeycomb and vanilla pods. Palate: Whipped cream, pear drops and a heathery note are quickly engulfed by barley water, sherbet mix, sugar cane, nectarines and dandelions. Finish: A gentle dry peat circulates before squashed plums, raisins, cracked pepper and dry straw emerge. The latest edition of the Kilkerran 8yo Cask Strength from Mitchell’s Glengyle Distillery. Matured in 100% Bourbon casks and bottled at 56.5% abv. Nose: The exquisite nose begins with a gentle hint of worn leather and pipe tobacco. Changing now to a much sweeter note with sponge cake, vanilla pods and clotted cream combining with some citrus and fruits in the form of key lime pie and green apple skins. Palate: Good cask influence here with lots of sweetness from the bourbon casks. Golden syrup cake, banoffee pie and toasted marshmallows are just some of the desserts you could find in this dram. Finish: The light peat becomes more apparent on the finish, along with an earthy dunnage note typical of Campbeltown whisky. This is followed by a herbal grassy note, marzipan and grape peel. Last edit: 5 months 1 week ago by MacNiels. This bottling are available from today: Friday 15th February - please note that the release date in various markets and countries is likely to vary. 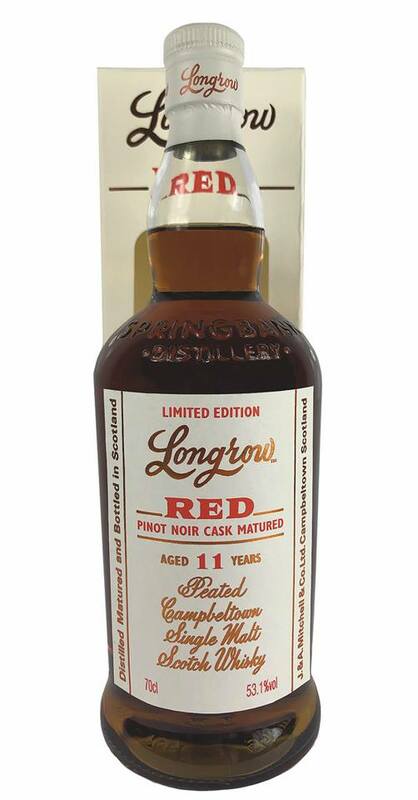 For details on when the Longrow Red 11yo is available near you please consult your preferred Springbank retailer or visit the “Where to Buy” section of our website to find a Springbank stockist. This bottling is also available from today: Friday 15th February - please note that the release date in various markets and countries is likely to vary. 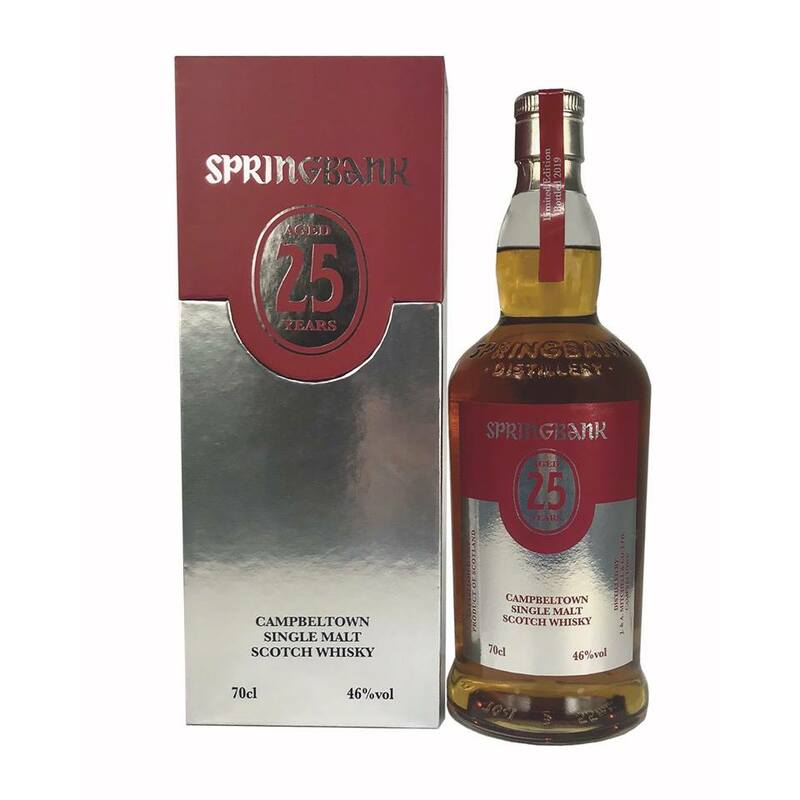 For details on when the new Springbank 25yo is available near you please consult your preferred Springbank retailer or visit the “Where to Buy” section of our website to find a Springbank stockist. Kilkerran kommer med en Heavily Peated aftapning. The brand new Kilkerran Heavily Peated will be launched in Europe from Friday 29th March 2019.